Noche de rabanos 2009 ciudad de Oaxaca, originally uploaded by Bicicletas Pedro Martinez. 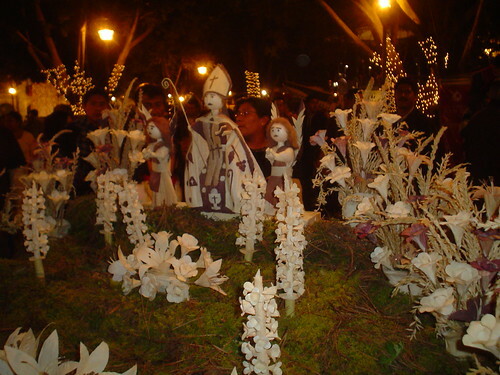 Oaxaca – Kudos to Pedro Martinez for snapping some wonderful photos from last nights’ Noche de Rabanos. Come for the rábanos … stay for the totomoxtle! Previous PostThe International Bahia Principe Clubs & Resorts Chain Opens its First Golf Club in Riviera Maya, MexicoNext PostGUADALAJARA CONTINUES TO SET THE STANDARD FOR ART & CULTURE AS THE CITY PREPARES TO WELCOME ITS NEWEST MASTERPIECE, THE MUSEUM OF MODERN AND CONTEMPORARY ART!